The M.Sc. 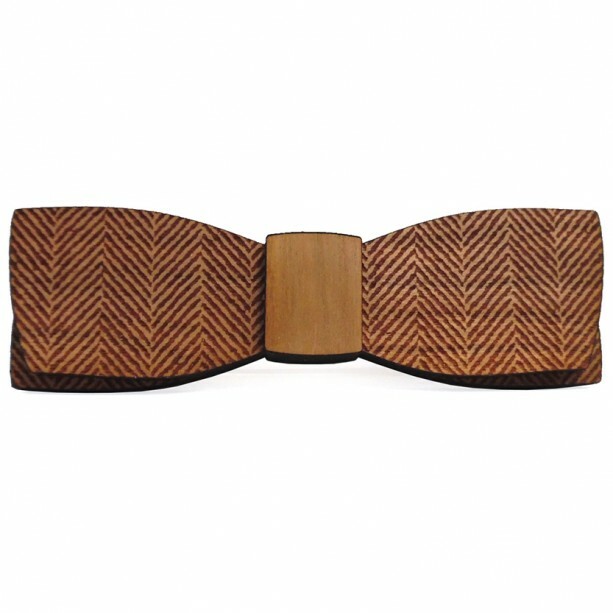 or what we call the 'straight' style bow ties are patterned after the cloth 'batwing' or 'very slim' tie knot. The herringbone pattern is laser engraved into cherry wood. Approx. 1.5" tall, 4.5" wide, .5" thick. Comes complete with adjustable strap and presentation box.